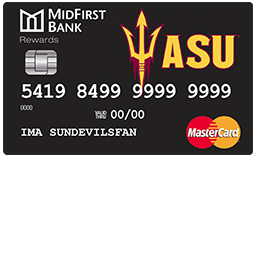 If you just received the MidFirst Bank Rewards Credit Card in the mail, you will want to activate it so you can start taking advantage of its rewards program while making your everyday purchases. With registration to the MidFirst online banking portal, you will be able to manage you bills, transfers and balances from the MidFirst Bank website. 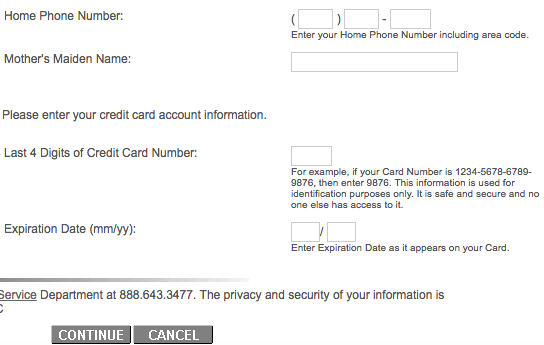 In the guide below, we have provided instructions on how to enroll in online services, login and how to activate a new card. 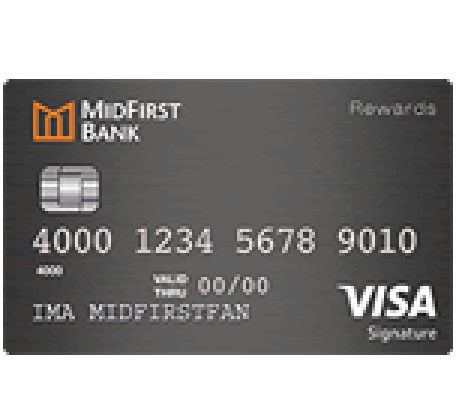 To access your MidFirst Bank Rewards Credit Card account online, navigate to the MidFirst Bank website. Once there, select Credit Card from the login pulldown menu, enter your Banking ID in the indicated field, then click Log In. You should now be logged into your account. 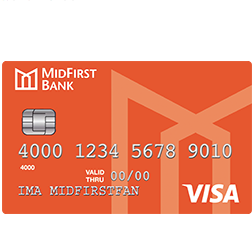 At the time of this writing, MidFirst doesn’t provide an online retrieval system for your login info, so if you forget your Customer ID you will have to call the MidFirst customer support line at 1 (888) 643-3477. 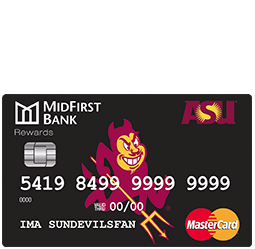 Unfortunately, there isn’t an online system to activate your new card, so you will need to call the number provided above and speak to a MidFirst Bank representative to help you. To enroll in online access to your account click the Secure registration link above. 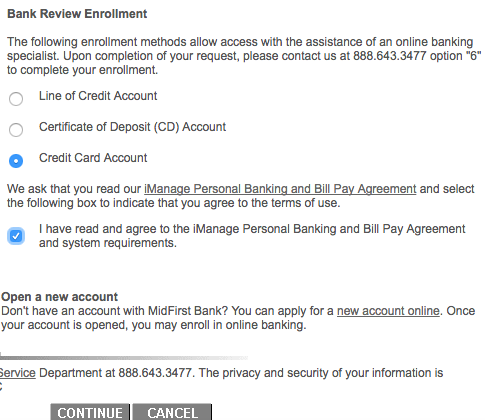 On the online banking enrollment page select the Credit Card Account option, read the iManage Personal Banking and Bill Pay Agreement, and tick the box indicating that you comply to the terms of this agreement, then click Continue. When you have finished entering this information, click Continue. 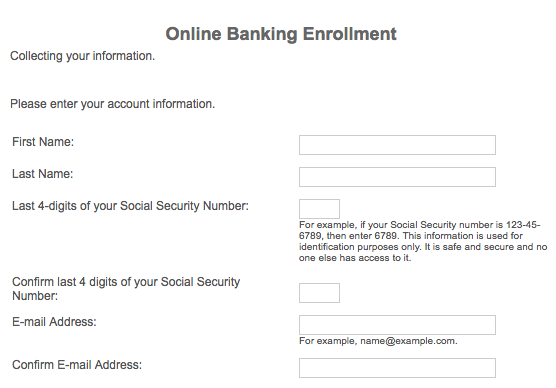 You will be able to finish the enrollment process by setting up your login info in the subsequent pages. 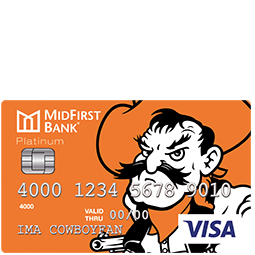 When your enrollment is complete you will be able to access your MidFirst Bank Rewards Credit Card account immediately. We hope this guide has been useful.